During the early hours of today, West ham announced Manuel Pellegrini as their new head coach. Pellegrini was formerly in charge of Hebei China Fortune as a club in China before quitting the club earlier this month. 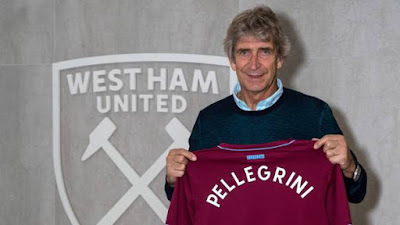 West ham Chairman as now welcome the former Manchester City coach to the club and reveal how delighted he is to see Pellegrini signing for the club. 'I am delighted to welcome Manuel Pellegrini to West Ham United. He is one of the world's most respected football coaches and we look forward to working with him,' Sullivan said. Pellegrini will look forward to meeting his players and staff and will start working immediately as there is a lot of work to be done on the West Ham team.